etching, Marine riflemen in action on board an unidentified warship, c1835 drawn and etched by William Heath. 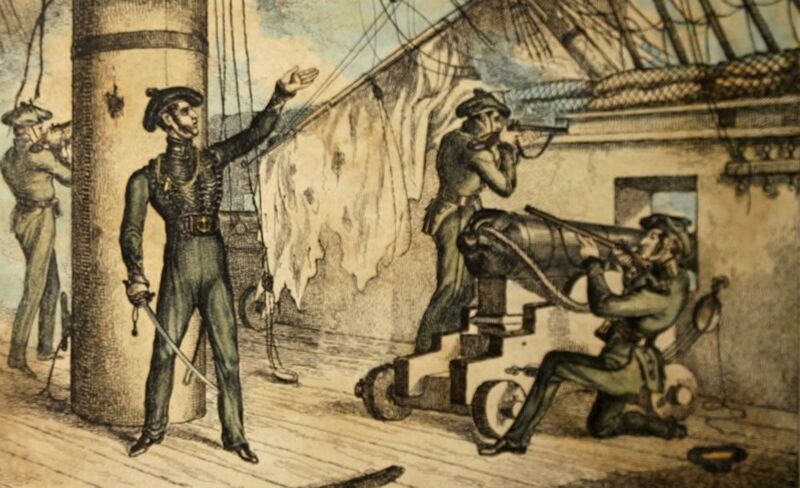 This etching, Marine riflemen in action on board an unidentified warship, c1835.. Art Print is created using state of the art, industry leading Digital printers. The result - a stunning reproduction at an affordable price. etching, Marine riflemen in action on board an unidentified warship, c1835..